At DryTech Roofing, we offer professional, quality roofing Columbia residents can rely on for years. 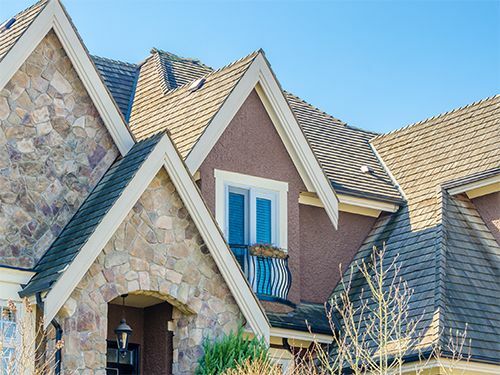 A GAF MasterElite contractor with more than a decade of Columbia roofing industry experience, we have run across problems of all sizes, and fixed them all. DryTech Roofing uses the highest quality materials available in order to provide our neighbors with the kind of residential roofing Maryland homeowners deserve. Locally owned and operated, we’re probably already working in your neighborhood! The Roofing Company in Columbia Residents Trust for Siding Too! DryTech Roofing is also a fully licensed and certified Columbia fiber cement siding installer. Partnering with James Hardie, we are able to provide our clients with the highest quality fiber cement siding Columbia has to offer. Our MasterElite status allows us to offer exclusive warranties that provide more protection than any other Columbia roofer can claim. When you work with DryTech Roofing, you are protected by both GAF and our workmanship guarantee. For more than a decade we have been working in the Columbia residential roofing industry. Our staff is extremely knowledgeable and continuously hones their skills in the classroom and on the job site. DryTech Roofing offer energy efficient replacement windows and attic insulation in addition to our Columbia roofing and siding services. As a GAF MasterElite roofer, we know our clients expect a certain level of quality from us. At DryTech Roofing we always want to be exceeding the expectations of our clients, and the products manufactured by those two manufacturers help us to do so. We are able to provide our neighbors in Columbia MD with roofing that they can feel safe and dry under for years to come. Have an aging or leaking roof? Don’t want to keep climbing up there and patching cracks, just to have them reopen? Contact Drytech Roofing, Maryland, and leave the roofing to us. Call (240) 491-5600 for a FREE Estimate on your next Maryland roofing project!